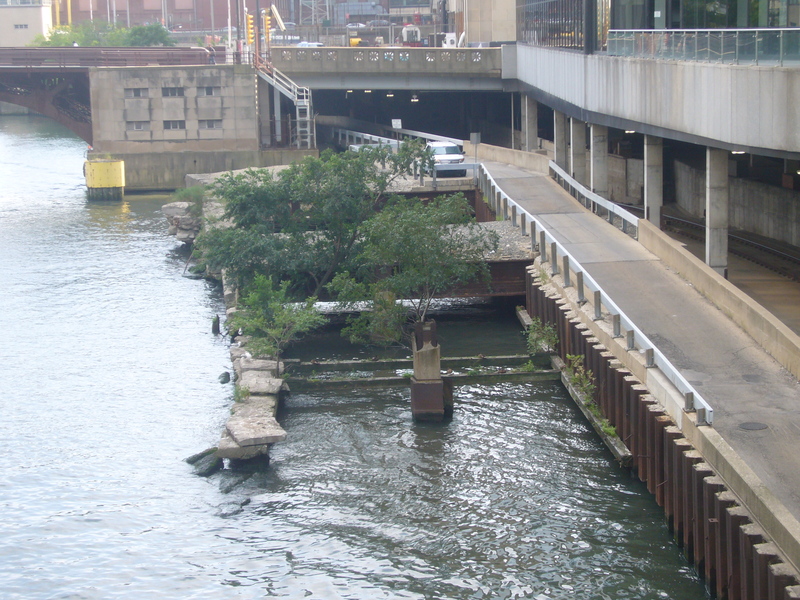 Building The Canal to Save Chicago by Richard Lanyon is a great book about a critical infrastructure project. It’s the story of what we now call the Chicago Sanitary and Ship Canal, built at the close of the 19th century to protect Chicago’s water supply. Of course there’s more to it than that, including effects on flooding, navigation, and downstate. The book is full of photographs of the work, and one cannot ignore how dirty, strenuous, dangerous (and noisy) it must have been. Power shovels, dredges, locomotives, various devices for moving soil out of the channel– all powered by coal, burned without emission controls of course. Over 5,000 people were employed, and there were deaths — unfortunately no count is provided. We get some useful details about the costs and funding. Substantially all of the construction (which began in 1892 and was substantially complete in 1900) was done by contractors under competitive bidding. The work day was set at 8 hours, with extra pay for work beyond that time. Minimum wage was to be 15¢/hour. Adjusted to today’s (2015) GDP/capita, that 15¢ equates to about $37.50, but other approaches would yield vastly different numbers. Of course, due to the primitive equipment available, the workers could not have been nearly as productive as equivalent workers would be today. Total cost of the project was reported as $33,530,000 (page 355 — excluding work east of Damen). This could equate to $8.38 billion today. It was paid entirely (page 338) from property taxes imposed on the approximate area benefited (including bonded debt paid from these taxes), without federal or state financial assistance. Initially the tax rate was 0.5% of assessed valuation, later raised for a five-year period to 1.5%. If based on actual property value, this would be a very hefty tax, but traditionally property in Cook County has been assessed at a modest fraction of market value. I say “property tax” rather than “real estate tax” because, up until the 1970s, Illinois taxed personal property as well as real estate. The tax was poorly-enforced and hard to administer, and was replaced by a corporate income tax surcharge. I suspect that personal property never amounted to more than a small fraction of the tax base.